My prose, was made into a song by my friend George Robertson, and Paintings by my good friend, artist Michal Madison, and the video was put together by my good friend the late Debbie Naylor Cox. 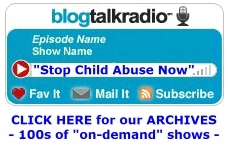 We are all being a voice for child abuse…Please share to get the word out there. Flashbacks take us back to the past. It takes us to a place where we feel trapped. We envision the trauma that affected us so much that to us it feels so very real, as if we are reliving the abuse all over again. Visually, we see the abuse happening, we feel it in every fiber of our being, we hurt all over again. The demons have woken up, taking over our minds again, recapturing us, removing us from the present and again taking away our self-esteem that we had started to build up. Our self-worth and self-esteem have been destroyed, leaving us vulnerable to the demons who destroyed it. We often cannot break free of the flashbacks, whether it was one flashback in particular, or more than one. Remember to always be kind to yourself as you are healing, Remind yourself that you are worth so much, that you are a loving person, a beautiful person, one who has survived abuse, one who is now free from the abuse that invaded your body, mind and soul,,,,.Don’t let the demons who abused you win…make them small, so that they can’t hurt you any more..You are the winner, because you came through the abuse whether it was from childhood abuse, or Domestic abuse, we are all winners, we are all SURVIVORS!! their smiles, they always fake. let’s scream out, let’s shout & pray. it’s up to us, there’s no excuse. from the abuse, there is no doubt. from the abusers dirty deeds. Children are bullied at school, on the playground, on the way home or to school, on school buses. They often hide it in fear of retaliation. Children need to know that it’s okay to tell someone they trust. Fear keeps them a prisoner within themselves. They lose self-esteem, love for themselves, believing that they must deserve what the bully dishes out to them. They often withdraw inside themselves, keeping to themselves, and sometimes thinking suicide is the only way out. Kids who bully others use their power over someone either by physical strength, intimidation, using fear to control another. As adults we must give children clear and consistent messages. Telling them how to relate to another person in a positive and healthy way. Kids need to learn how to stand up for themselves and others. Fear keeps kids silent, Let’s speak up, help stamp out bullying. You are in control of your happiness. How you perceive things changes your whole mindset. You get to choose, choose happiness. You have the power! Never live with self doubt. Embrace what makes you special, not what others think you should be. Find your own purpose in life. Your soul is unique to you alone.